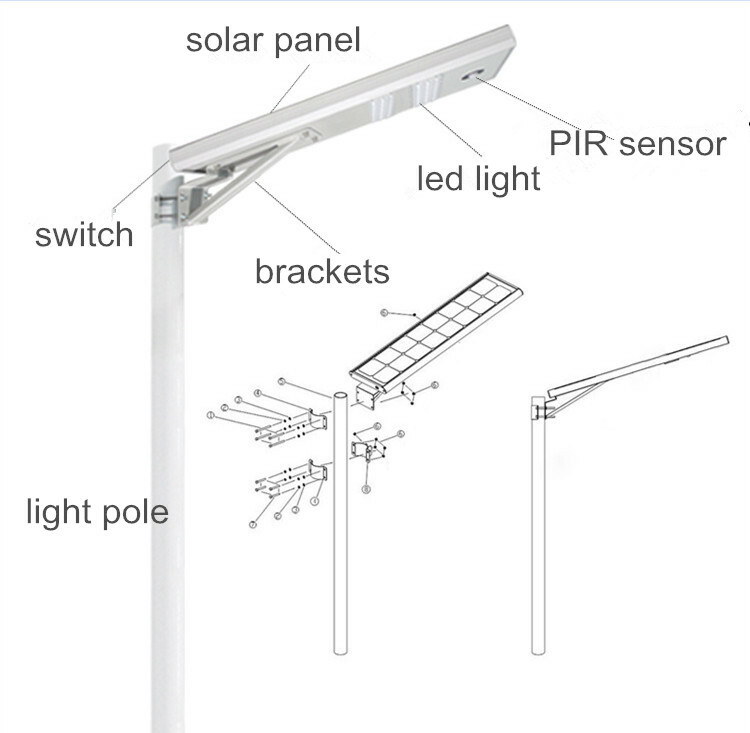 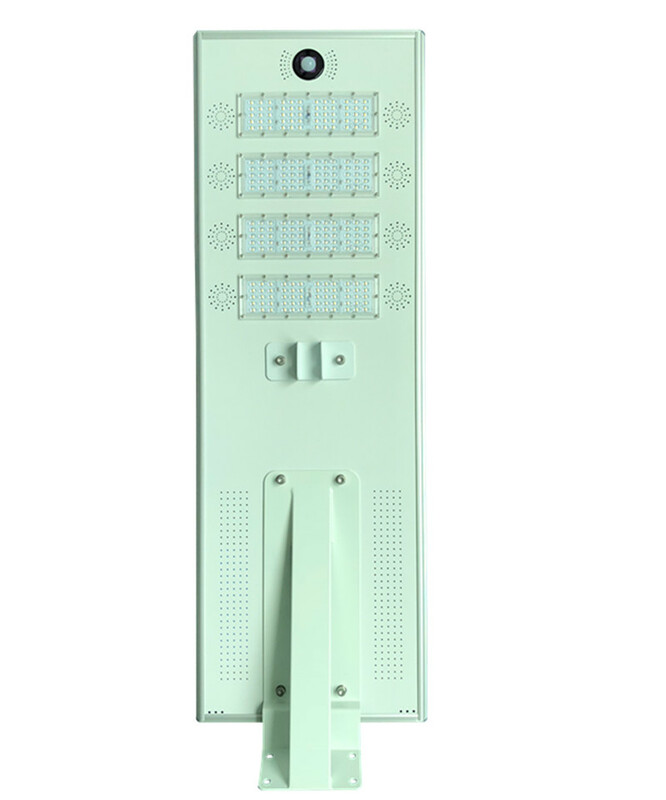 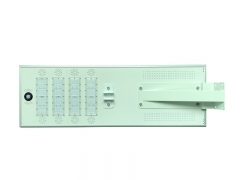 The integrated solar street light is a high-efficiency and Eco-environmental new lighting solution in the solar light sector, they are combined with solar panel, long lifespan lithium battery, solar charging controller, high bright led lights, intelligent controller and PIR motion sensor, as well as mounting brackets. This whole solar system provides you years of high efficiency and maintenance-free lighting. It is a great lighting solution to dark parking lot, pathway, gardens, parks, roadways, squares. 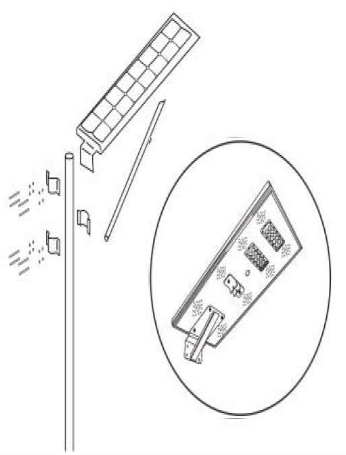 During the day, the solar panel convert the solar energy (sunshine) into energy and stored into the lithium battery, it will fully charged in 7 hours on a sunny day. 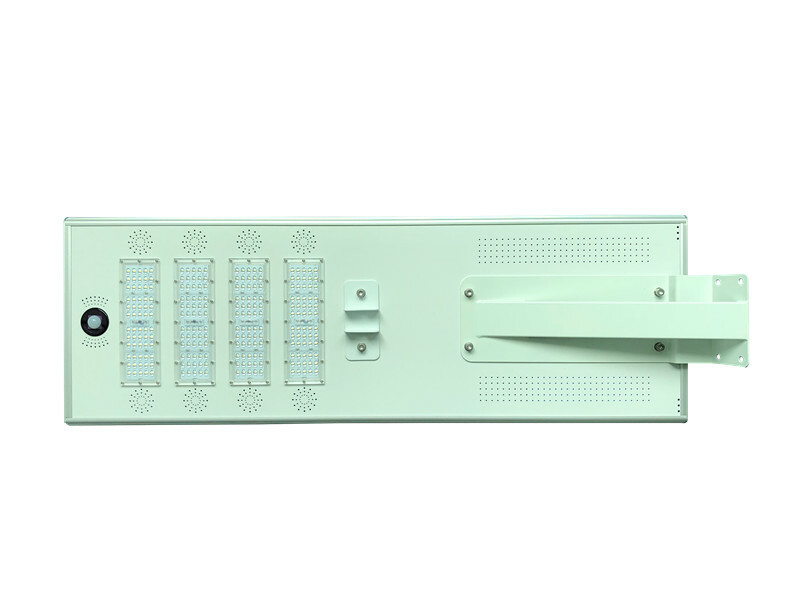 When dusk comes, it will turn on automatically, the lithium battery provides power to the led lights to light up the dark area. Detected by the PIR motion sensor, it will work at 100% power when there is motion, and work at 50% power when there is no motion. 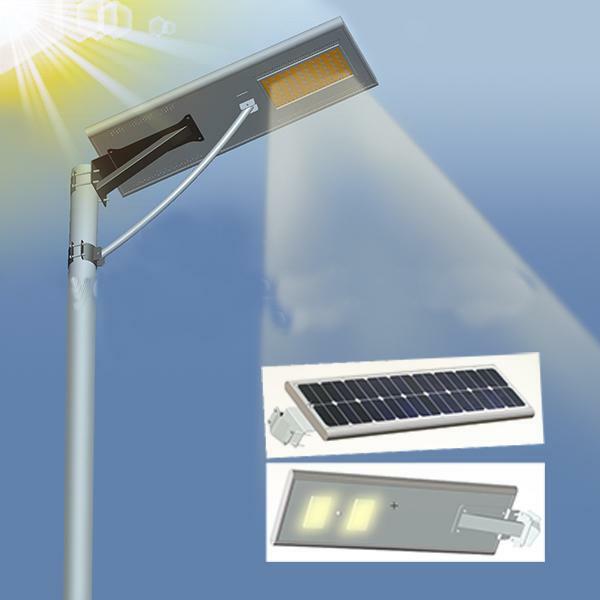 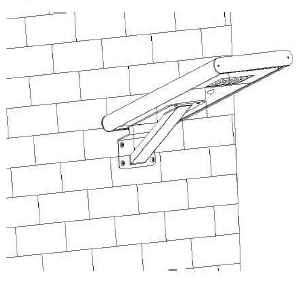 The light can last throughout the night and can last for 3-5 rainy days.